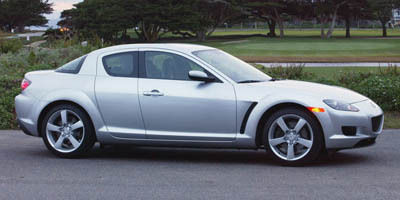 Mazda is recalling RX-8 vehicles from the 2004 to 2008 model-years to address a problem with their fuel pumps. In some cases, that problem could pose a fire risk. According to the National Highway Traffic Safety Administration, the issue with the RX-8 is rooted in the fuel pump’s sealing rings, which were supplied by Kautex Japan. NHTSA says that the rings can deteriorate over time when exposed to high temperatures–like, say, the heat of an engine or exhaust pipe. Washington, D.C. – October 26, 2016 – The lift gate of Mazda vehicles are beginning to drop unexpectedly, according to a memo released by the National Highway Traffic Administration. The result is usually not pretty for anyone involved. The individual working with the car is likely to be injured when the lift gate of a vehicle drops unexpectedly toward him or her. In a variety of vehicles, Mazda found that the struts of the lift gate may corrode over time, which is likely responsible for the gate dropping. The company is recalling Mazda3 and Mazdaspeed3s made between 2010 and 2013, Mazda5s from October 26, 2010 to June 22, 2015, CX-3 vehicles from June 1, 2015, to December 26, 2015, and CX-5s from December 15, 2011, to December 26, 2015. Although professionals are still working to find out the exact causes of such a problem in the lift gates, researchers believe that insufficient corrosion protective coating was applied in the first place. There are plenty of things that can cause corrosion to those parts. If materials like that are exposed to water that contains road salt, the compound can cause corrosion. If that is the case, the mechanisms holding the lift gates up will not be able to do their job properly. That is when issues like unexpected drops occur. January 2016: Mazda was notified that there was an investigation on the corrosion of parts that prevent lift gates from falling unexpectedly. March 2016: Mazda received information saying that salt water may be responsible for penetrating the gap between the outer tube and the end cap. Combined with temperature changes, corrosion can occur. 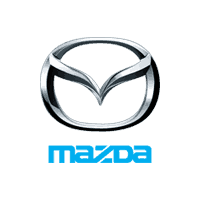 April – August, 2016: An internal investigation was launched by leaders at Mazda. Although no broken parts were found, the outer tubes of some returned parts were confirmed to be corroded. Mazda then conducted an anti-corrosion evaluation. The results were that the anti-corrosion performances by certain vehicles were not up to par. August 30, 2016: There still isn’t enough evidence from global markets to cause Mazda manufacturers to panic. But Mazda professionals acknowledge that lift gates may fall or break off vehicles in the future if steps aren’t taken to prevent it. In an effort to get out ahead of any future problems, Mazda issued a recall. Mazda is doing their best to help people who have encountered this problem. In fact, Mazda dealers replace lift gates and their components free of charge. Mazda is planning on sending interim letters to car owners starting on November 1, 2016 and plan on sending secondary letters as parts become available. That’s the bad news – parts are currently unavailable. If you have any questions in the meantime, reach out to the Mazda customer service center at 1-800-222-5500. Washington, D.C. — Oct. 17, 2016 — Ball joints in some Mazda vehicles are possibly vulnerable to a dangerous flaw. The model years in this recall range from 2007 to 2012, per official documents with the National Highway Traffic Safety Administration. In addition, the source said that 190,102 Mazda CX-7 vehicles were potentially affected, with the first related field report of this issue dating to August 2015. The higher-priority vehicles for this recall are reportedly located in states that use lots of road salt for ice. That’s because driving on salted roads can inadvertently introduce salt water into the ball joints. Over time, this exposure could corrode the joints, eventually separating it from the lower control arm and making it more difficult for the driver to steer properly. Target regions include northern states like Indiana, Minnesota and New Hampshire, but also more southern states, such as Kentucky and West Virginia. Dealer notification is scheduled for September 30, with owner notification coming Oct. 10. Dealers will replace left and right lower control arms after the recall campaign. As of this writing, the manufacturer has noted no injuries connected to this fault, and the report did not state any possible indications that the issue might be present. The Mazda recall is just one of the more recent to concern possible road-salt corrosion. Last October, approximately 218,019 Nissan Versa vehicles were recalled because of the danger road salt posed to their front coil springs. Automotive News reported that corroded springs could eventually fracture, puncturing vehicle tires in the process. The Versa model years subject to this recall ranged from 2007 to 2012. Similar to the Mazda recall, this Nissan action particularly looked at the vehicles in particular states. Vehicles were produced between May 8, 2006 and Nov. 12, 2012. Irvine, CA — February 16, 2016 — A pair of recent recalls bring consequences for the Mazda CX-5 vehicles. Most recently, Automotive News reports that more than 264,463 vehicles are subject to a possible fuel pipe issue. No injuries have been reported due to this problem, but the manufacturer still asserts that a possible fuel leak after a collision could lead to danger for occupants. In addition to a recall, Mazda is also stopping the sale of all CX-5s with the model years between 2014 and 2016. Since repair parts aren’t yet available, dealers can provide a “loaner, demo or rental” to relieve the customer until repairs begin. The recall reportedly comes after testing revealed a lack of compliance. Another recall announced last month also has ties to the CX-5, although this one comes not from the manufacturer but from supplier Pilkington North America. A Part 573 Safety Recall Report from the National Highway Traffic Safety Administration (NHTSA) said that replacement windshields may have defective brackets. “On a small number of parts, a bracket installed on the inside of the windshield may have been affixed improperly,” the report reads. “This bracket is used to hold a separate laser sensor or LIDAR device that is linked to the vehicle’s Smart City Brake Support System.” The brackets in 305 units may potentially break under pressure, posing problems for the CX-5 brake system. There may not be any warning signs for owners other than possible shaking. The new brackets “will be firmly affixed with urethane” rather than the tape used in the old ones. Washington, DC — October, 14 2015 — Late last month, a Mazda dealer email announced a pending recall for Mazda3 vehicles with the model years of 2015 and 2016. According to this notice, vehicles built between May 21 and August 24 of this year are at risk of a fuel shutoff failure that could potentially cause fire hazard in cases of overflow. That recall is currently being conducted. This action, overseen by Mazda North American Operations, specifically concerns 14,406 potentially affected units, with the manufacturer offering rental vehicles to owners who need them while repairs are being administered. If needed, dealers can replace the fuel shutoff valve to correct the situation. Since the fuel problem can lead to multiple related issues, including engine stalling, replacing the charcoal filter canister could make operating affected Mazda 3’s safer. A National Highway Traffic Safety Administration (NHTSA) document for dealers describes the steps needed to test fuel tanks in vehicles under inspection for this flaw. As they wait for the tool to arrive, dealers are instructed to prevent drivers from using vehicles that may be defective and to coordinate proper reimbursement and rental with customers. In addition to the tools necessary for testing, dealers will also have access to replacement fuel tanks sometime later this month.